Venezuela is sowing its harvest of “groans and tears.” Due to the breakdown of civil society in the country, even war-plagued Syrians feel more safe in their homes than do Venezuelans. Venezuelans are so hungry that they cried at the sight of food in Columbia. Recently the hungry broke into a zoo to kill a horse for its meat. Literally, they have become serfs that may be required to work 60 days or more in agricultural fields. When the history of this tragic period in Venezuela is written, the population will have plenty of “culprits” to blame. In blaming many will eschew their own responsibility. Some will blame Chavez; others will blame Maduro. Some will follow their beloved leaders and continue to blame the “elite” and the capitalists. The true believers will continue to insist there is no inherent flaw in socialism; they will simply say mistakes were made that will not be made again. Venezuelans have not yet recovered their “senses.” Caracas radio host Glen Martinez stubbornly insists that the “reforms” that Chavez instituted will never be reversed. “We are not the same people we were before 1999,” Martinez said. Many share Martinez’s sentiments; daily the true believers still march and promise to spill their blood in support of the government. There is no better book than Friedrich Hayek’s classic The Road to Serfdom to explain the popular delusions that helped to virtually eliminate the market economy and civil society in Venezuela. Writing during the depths of World War II, Hayek intended his book as a warning “to the socialists of all parties.” What happened in Venezuela can happen wherever a critical mass of the population begins to hold certain delusionary beliefs. The humanitarian disaster in Venezuela has been a long time in the making. In 2010, the hungry waited while “2,340 shipping containers with more than 120,000 tons of rotting food (estimated to feed 17 million people for one month)” sat at the government run port of Puerto Cabello. Believing that the “coercive or arbitrary intervention of authority,” can coordinate and adjust our individual activities is delusional. With this delusion comes disbelief that a market economy can solve problems and advance society. Those who cherish such delusions may find themselves hungry. Thus, there is support for coercive planning, because individuals “feel confident that they will be able to instill into the directors of such a society their sense of the value of the particular objective.” In other words, there is the delusion that planners will follow their wishes and they will receive more of the goods that they want, sparing them from the necessity of making a choice. Why choose between spending your own savings on housing or education if you’ve been assured that you are entitled to both at society’s expense? It is delusional to assume that the role of an effective political leader is to control the uncontrollable. To believe that scarcity can be eliminated and hard choices averted is delusional. The hard to give up delusion of socialists is that there are coercive plans that will benefit all. Venezuelans have seen the means of production nationalized in the name of the common good and with every intervention their standard of living fell further. Since there is no majority to agree on a specific plan of action to promote a nonexistent “common good,” the worst get on top in a centrally planned economy. This is why a totalitarian state seeks to eliminate private schools and socialize education. In 2012 the Chavez government implemented “Resolución 058.” “The resolution states that all decisions in every school — public or private — must involve parents, teachers, students, workers, and the community” in order to “construct a new model of socialist society.” This model includes the belief that the State is the source of well-being. Venezuelans will have to recover from their delusions “one by one.” A point in time will come that, due to their suffering, a critical mass of Venezuelans will no longer think as the government wants them to think. In the meantime, let us remember that Hayek wrote The Road to Serfdom to warn that the descent into socialism can happen anywhere. Let us have empathy for the suffering of the Venezuelans; and as Hayek would have hoped, let us also watch and learn. Barry Brownstein is professor emeritus of economics and leadership at the University of Baltimore. He is the author of The Inner-Work of Leadership. 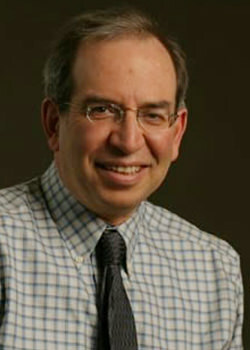 He delivers leadership workshops to organizations and blogs at BarryBrownstein.com, and Giving up Control.